This is a compilation of leaders in the world of Alternative News. Each is chosen based on their dedication to providing factual, unadulterated content, and a desire for change. James Corbett has been living and working in Japan since 2004. He started The Corbett Report website in 2007 as an outlet for independent critical analysis of politics, society, history, and economics. The Corbett Report is edited, web-mastered, written, produced and hosted by James Corbett. Since then he has written, recorded and edited over 1000 hours of audio and video media for the website, including a weekly podcast and several regular online video series. He produces video reports for GRTV, and BoilingFrogsPost.com. He is also an editorial writer for The International Forecaster, the weekly e-newsletter created by the late Bob Chapman. Eva is an independent writer and rights activist with extensive experience in Syria and in the Gaza Strip, where she lived a cumulative three years (from late 2008 to June 2010, and back in 2011 off and on to March 2013). She documented the 2008/9 and 2012 Israeli war crimes and attacks on Gaza while riding in ambulances and reporting from hospitals. Since 2007 she has been writing from and on issues in the Middle East, mainly occupied Palestine and in recent years Syria, fighting for its existence under a foreign war of aggression. Luke Rudkowski is an American investigative journalist, activist and founder of We Are Change, an alternative media organization comprising individuals and groups working to expose worldwide corruption and hold authoritative figures to account for their actions and crimes in which their involvement has been covered up or hidden from public knowledge. Jon Rappoport has worked as a free-lance investigative reporter for over 30 years. He is the author of three explosive collections, THE MATRIX REVEALED, EXIT FROM THE MATRIX, and POWER OUTSIDE THE MATRIX. He has written articles on politics, health, media, culture and art for LA Weekly, Spin Magazine, Stern, Village Voice, Nexus, CBS Healthwatch, and other newspapers and magazines in the US and Europe. In 1982, the LA Weekly submitted his name for a Pulitzer prize, for his interview with the president of El Salvador University, where the military had taken over the campus. Jon has hosted, produced, and written radio programs and segments in Los Angeles and Las Vegas (KPFK, KLAV). He has appeared as a guest on over 200 radio and television programs, including ABC’s Nightline, Tony Brown’s Journal (PBS), and Hard Copy. Vanessa is an independent researcher, writer and photographer. She is 100% self-funding which enables her to maintain her independence, unlike so many of the mainstream media and state sponsored so called independent media outlets who are influenced by their donor agendas. She focuses on peace activism and defends the sovereignty of nations and the self determination of their peoples without foreign intervention or destructive meddling in independent state affairs. She has done extensive work on revealing the true nature of White Helmets. O’Keeffe is an ex-US Marine who renounced US citizenship at the US Embassy in Vancouver, Canada on March 1, 2001. Now holding Irish, Hawaiian & Palestinian citizenship; but ultimate allegiance is given to all life and to planet Earth. A lawfully declared world citizen, meaning his ultimate allegiance is to the entire human family and to planet Earth. He believes the world is what we make of it and that we have as a human duty the obligation of working to hand this world over to our children in a better state to that which we inherited it. Anarcho-Capitalist. Libertarian. Freedom fighter against mankind’s two biggest enemies, the State and the Central Banks. Jeff Berwick is the founder of The Dollar Vigilante, CEO of TDV Media & Services and host of the popular video podcast, Anarchast. Jeff is a prominent speaker at many of the world’s freedom, investment and gold conferences including his own, Anarchapulco, as well as regularly in the media including CNBC, Bloomberg and Fox Business. Ben Swann has spent 15 years working as a journalist in broadcast news. Swann began his journalism career in El Paso, Texas as a news photographer, quickly working his way up to prime time anchor. Along the way, Swann became a two time Emmy Award winner and two time recipient of the Edward R. Murrow Award. Covering Mexico’s drug war, Ben Swann discovered the national media was not reporting the truth of what was actually happening in Mexico’s drug war or the problems associated with the failed “War on Drugs” in the United States. Abby Martin is an American journalist and presenter of The Empire Files, a weekly investigative news program on teleSUR English. She was formerly the host of Breaking the Set on RT America network, working from the Washington, D.C. bureau. Before hosting her own show, she had worked for two years as a correspondent for RT America. Martin is also an artist and activist, and helped found the citizen journalism website, Media Roots. She serves on the board of directors for the Media Freedom Foundation which manages Project Censored. Martin appeared in the documentary film Project Censored The Movie: Ending the Reign of Junk Food News (2013), and co-directed 99%: The Occupy Wall Street Collaborative Film (2013). Dan Dicks is an investigative journalist and an award winning documentary filmmaker. He is also the founder of an independent media outlet known as Press For Truth which produces videos and documentary films about issues that the mainstream media often fails to report on. Press For Truth is a team of videographers, investigative journalists and political activists. They do their best to expose the global elite and their plans for a new world order. They are dedicated patriots who are committed to covering issues which the mainstream media is not willing to touch. They make documentary films and videos for youtube in an effort to educate the public about a variety of issues. Dean Fougere, also known as “Titus Frost,” is the creator of the YouTube Channel “Titus Frost” and author of the historical fiction novel “The Lost Truth.” Titus is a leading independent researcher on a variety of important tropic. 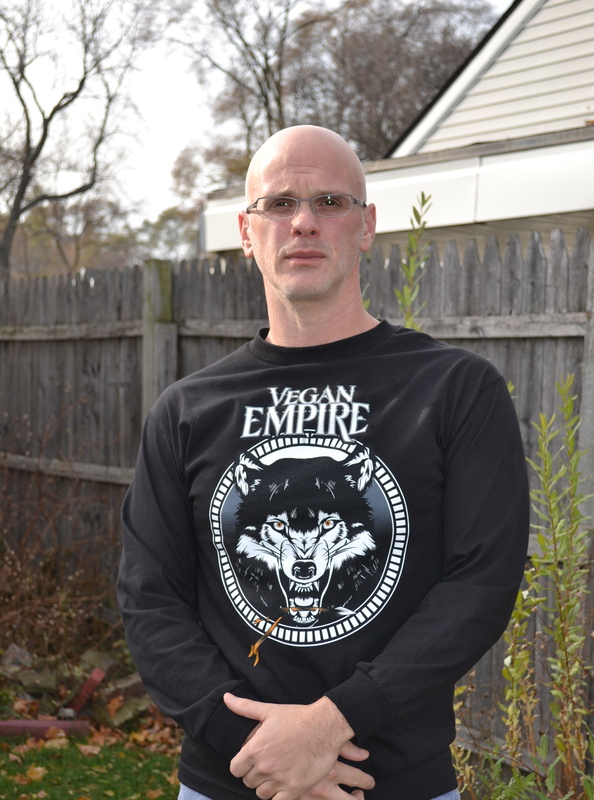 He runs the annual March Against Monsanto Boston, and takes part in the Million Mask March Annually. He is for Anarcho-Capitalism, and using the Article 5 of the US Constitution to End the Federal Reserve. Adam Charles Kokesh is an American libertarian talk show host, activist, and author of FREEDOM! A decorated veteran of the War in Iraq, Kokesh came to disparage war and advocate nonviolent resistance to power. His OpenCarry march on July 4th 2013 in Washington DC draw a lot of attention in the media, as well as the many arrests of Adam Kokesh during pro-marijuana demonstrations and dancing at the Jefferson Memorial. In 2010, Adam Kokesh ran unsuccessfully in the primary for the Republican nomination for New Mexico’s 3rd congressional district seat. Stefan Molyneux is the founder and host of Freedomain Radio, the largest and most popular philosophical show in the world. With more than 3,000 podcasts, 10 books and 100 million downloads, Stefan has spread the cause of liberty and philosophy to listeners throughout the world. Prior to launching Freedomain Radio, Stefan built a thriving career as a software entrepreneur and executive. In 2006, he left his work in the tech industry to devote his efforts to Freedomain Radio. Now a full-time parent and philosopher, Stefan speaks regularly at liberty-themed events all over North and South America. His speeches cover subjects ranging from politics, philosophy, science, economics, relationships, parenting and how to achieve real freedom in your life. Joe Rogan is an American stand-up comedian, actor, martial artist, sports commentator, podcaster and renowned seeker and distributor of Truth. He is known for his work commentating for the Ultimate Fighting Championship, hosting the NBC reality show Fear Factor, playing Joe Garrelli on the NBC sitcom NewsRadio as well as hosting The Joe Rogan Experience podcast. Avid research analyst from a Christian perspective. Digging deep and finding the truth is what Lisa lives for. She has a passion for the topics that many people fail to discuss and brings them to an open format: spiritual warfare, Nephilim/UFO’s, demons, the New World Order, Bible prophecy, end times, transhumanism, miracles, hell, heaven, martial law, FEMA camps, patriotism, the economy, and the like. Her hope is to inform and awaken the masses to what God has planned in the days ahead. Her Christian perspective brings a different and refreshing view to the Alternative News community. Mark Passio is an independent researcher, public speaker, radio talk show host, conference organizer and freedom activist from Philadelphia, PA. Mark has undertaken the task of assembling vast amounts of research in the areas of metaphysics, occultism, spirituality, symbology and consciousness studies. In 2007, Mark began presenting this information in the form of a presentation series entitled What On Earth Is Happening, with the intention of bringing the implications of this body of knowledge to greater public awareness. Mark launched his own web site in 2008 at http://www.WhatOnEarthIsHappening.com. In 2010, Mark began hosting his own weekly internet radio show, also called What On Earth Is Happening, which continues today in the form of a podcast on Mark’s website. Christopher Lynn “Chris” Hedges (born September 18, 1956) is an American journalist, activist, author, and Presbyterian minister. Hedges is also known as the best-selling author of several books including War Is a Force That Gives Us Meaning (2002)—a finalist for the National Book Critics Circle Award for Nonfiction—Empire of Illusion: The End of Literacy and the Triumph of Spectacle (2009), Death of the Liberal Class (2010), the New York Times best seller, written with cartoonist Joe Sacco, Days of Destruction, Days of Revolt (2012), and his most recent Wages of Rebellion: The Moral Imperative of Revolt (2015). Dane Wigington has an extensive background in solar energy. He is a former employee of Bechtel Power Corp. and was a licensed contractor in California and Arizona. His personal residence was featured in a cover article on the world’s largest renewable energy magazine, Home Power. He owns a large wildlife preserve next to Lake Shasta in Northern California. Avram Noam Chomsky is an American linguist, philosopher, cognitive scientist, logician, political commentator, social justice activist, and anarcho-syndicalist advocate. Sometimes described as the “father of modern linguistics”, Chomsky is also a major figure in analytic philosophy. He has spent most of his career at the Massachusetts Institute of Technology (MIT), where he is currently Professor Emeritus, and has authored over 100 books. He has been described as a prominent cultural figure, and was voted the “world’s top public intellectual” in a 2005 poll. Ralph Smart is The founder of ‘Infinite Waters,’ a media channel on ‘Youtube’ with over 26 million views helping people to become their greatest versions, regarding unlocking true human potential and being a limitless being. Ralph Smart was born in London. He has travelled to five continents. Awarded with a ‘BA Combined Honors’ in: ‘Psychology’ and ‘Criminology’-human nature fascinates him. Above all Ralph knows all humans were born to be free—Being free is our birthright. Graham Hancock is the author of the forthcoming Magicians of the Gods, and of the major international bestsellers The Sign and The Seal, Fingerprints of the Gods, and Heaven’s Mirror. His books have sold more than five million copies worldwide and have been translated into 27 languages. His public lectures, radio and TV appearances, including two major TV series for Channel 4 in the UK and The Learning Channel in the US – Quest For The Lost Civilization and Flooded Kingdoms of the Ice Age – have put his ideas before audiences of tens of millions. He has become recognized as an unconventional thinker who raises controversial questions about humanity’s past. Elana Freeland came of political age during the COINTELPRO decade of Vietnam, street riots, political assassinations, and all-night rap sessions about the downfall of the Establishment. Researching Sub Rosa America included discovering how deeply her US Navy father was enmeshed with the very military-industrial complex she was writing about, and like the characters in the book, learning how every major event and personality in the United States political establishment over the past forty years is tied in one way or another to the assassination of John F. Kennedy in Dallas. Bruce H. Lipton, PhD is an internationally recognized leader in bridging science and spirit. Stem cell biologist, bestselling author of The Biology of Belief and recipient of the 2009 Goi Peace Award, he has been a guest speaker on hundreds of TV and radio shows, as well as keynote presenter for national and international conferences. Dr. Lipton began his scientific career as a cell biologist. He received his Ph.D. Degree from the University of Virginia at Charlottesville before joining the Department of Anatomy at the University of Wisconsin’s School of Medicine in 1973. As of January 1, 2015 Gary Yourofsky has given 2,660 lectures to more than 60,000 people at 186 schools in 30 states and several Israeli cities/schools. His 2010 Georgia Tech speech has been translated into 37 languages for over 10 million YouTube hits, making it the most-viewed animal rights lecture in history! One in seven Israelis have watched the Hebrew version making it the most-viewed speech in Israeli history, too. Dr. Gabor Maté is a Hungarian-born Canadian physician who specializes in the study and treatment of addiction and is also widely recognized for his perspective on Attention Deficit Disorder and his firmly held belief in the connection between mind and body health. He has authored four books exploring topics including attention deficit disorder, stress, developmental psychology and addiction. He is a regular columnist for the Vancouver Sun and the Globe and Mail. 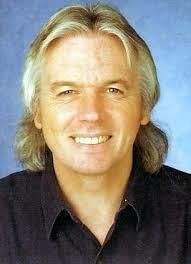 David Vaughan Icke is an English writer, public speaker and a former professional footballer and sports broadcaster. He promotes alternative theories about global politics and has written extensively about them. Icke was a BBC television sports presenter and spokesman for the Green Party, when in 1990 a psychic told him that he was a healer who had been placed on Earth for a purpose. He continued to develop his ideas, and in four books published over seven years – The Robots’ Rebellion (1994), And the Truth Shall Set You Free (1995), The Biggest Secret (1999), andChildren of the Matrix (2001) – he set out a worldview that combined New-Age spiritualism with a denunciation of totalitarian trends in the modern world. With American comedian Bill Hicks there was always an awareness of other people, of how our society links together. With this came an idealism and a vision of what the world could be. But first he had to slay all the “fevered egos” polluting the planet. He saw himself as a flame, Shiva The Destroyer, using comedy as a weapon to expose truths and show people how governments are screwing us every day of our lives. He also happened to be achingly funny such was the accuracy of his comedy.